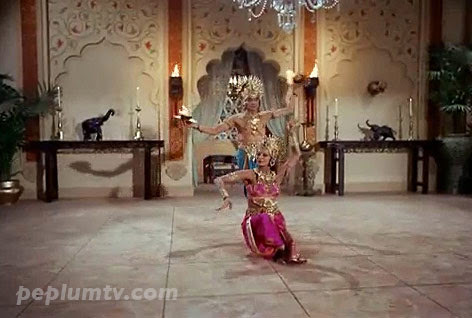 Sujata and Asoka Rubener were a husband and wife dance team specializing in in performing various Oriental dances to Western audiences, including movies. 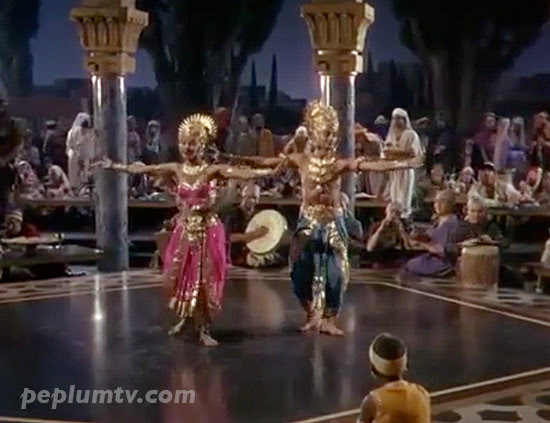 Above: they appeared in SALOME (1953), the Rita Hayworth vehicle, and below, in SANDOKAN - THE PIRATE OF MALAYSIA (1964), the Steve Reeves film. 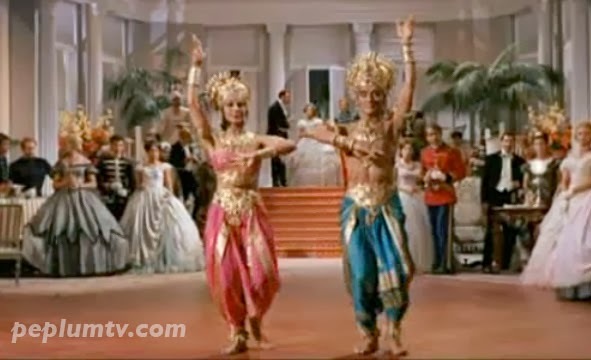 They appeared in other films and even TV series like WILD WILD WEST in a PEPLUM inspired episode (go figure!). Hail Caesar! starring George Clooney?